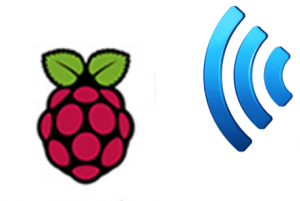 Remote Control Raspberry via apache2 Web Server: This post guides you to remote control your raspberry pi via https (self-signed SSL certificate) from wherever you want. We show you how to add htaccess security and add commands via php. Let’s say you have some fancy Raspberry Pi setup at home which does some home automation (e.g. via GPIOs) or other tasks for you. But how do you remote control your tasks if necessary? My suggestion is a web interface or a simple android smart phone or tablet app (these devices are usually at hand, so there is no need to access you pi directly).… read more. When working with a raspberry pi, you might need some USB storage to carry your data. I for example use a raspberry as a quite powerful seafile cloud server, which will probably be presented in a later post. As I was working with usb storage on raspberry pis, I became pretty bored on mounting devices manually and unmount it later aswell. The installable ‘automount’ program didn’t suit my flavor by adding unlabeled usb* folders to /media/*. I want to see the correct device name like on a regular desktop computer. So, I wrote a handy USB Automount Script for Raspberry Pis with the according udev rule to execute it when required.